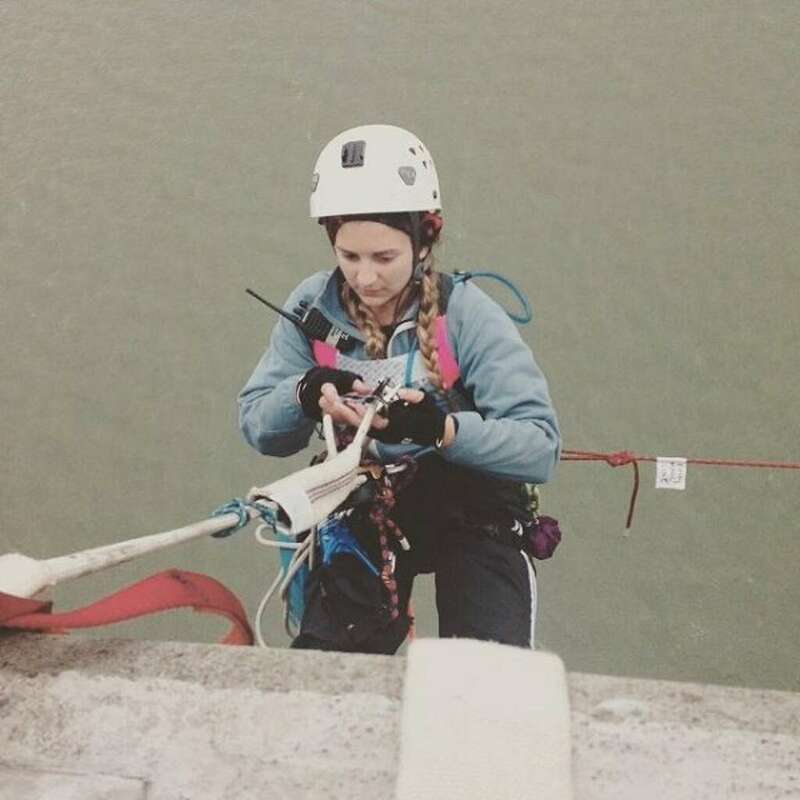 Emily Heffling, of Oakland, was arrested during a protest at the Benicia-Martinez railroad bridge on July 6, 2015. 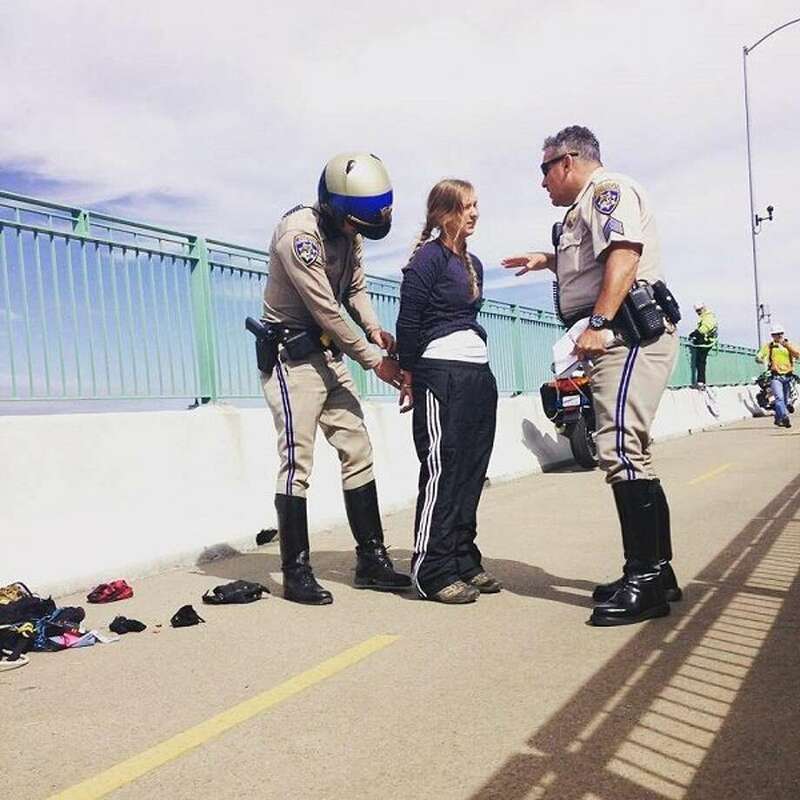 Police arrested four Bay Area activists Monday morning after they suspended themselves from the Benicia-Martinez railroad bridge to hang a banner protesting oil trains, the California Highway Patrol said. Jasmin Vargas, associate director of the nonprofit Communities for a Better Environment, said the activists were protesting in affiliation with her organization as well as ForestEthics and APEN, all environmental groups fighting the oil industry. Vargas said the activists chose the Benicia bridge because it crosses the Carquinez Strait near several oil refineries and is a potential site for derailments and explosions as oil is transported on the tracks. Officers arrested Oakland residents Janine Carmona, 29, and Charles Furman, 27, on suspicion of maintaining public nuisance and conspiracy to commit a crime. Emily Heffling, 25, of Oakland and Ethan Buckner, 24, of Berkeley were arrested on suspicion of the same crimes as well as climbing or trespassing on a bridge and resisting or obstructing a peace officer.